900mm wide. 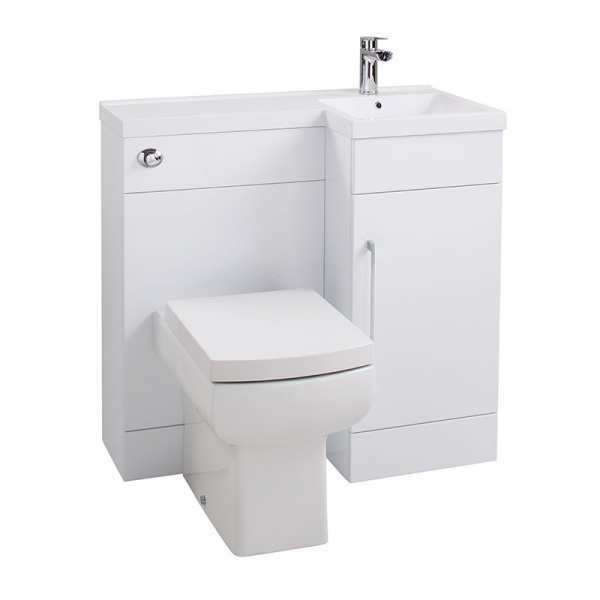 Gloss white basin and WC cistern unit with l-shaped polymarble basin and worktop. 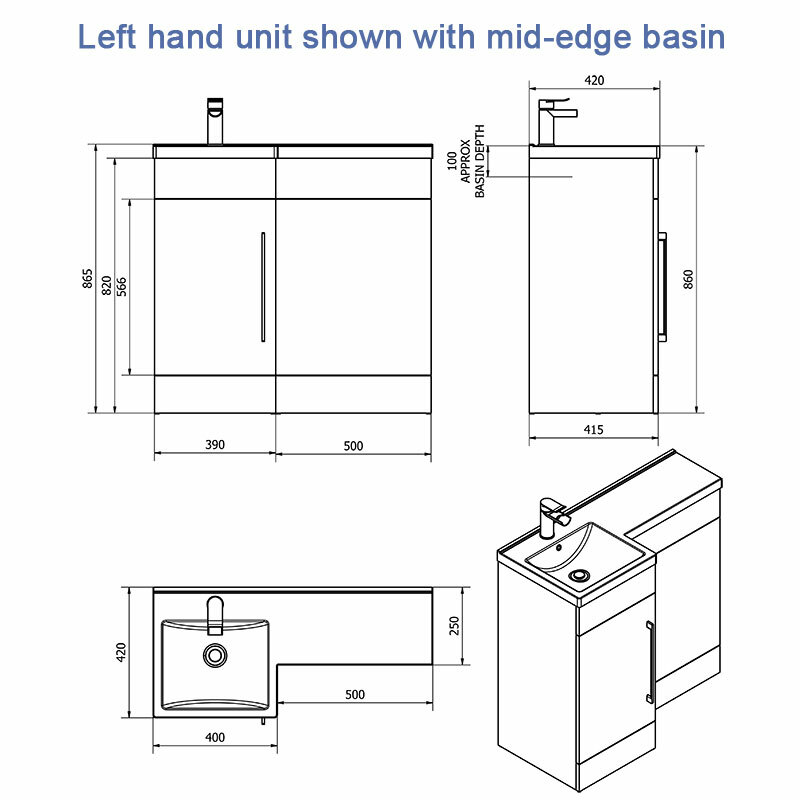 Single door vanity unit with chrome handle and soft close feature. WC pan/seat, cistern, push button and tap not included. Compact bathroom furniture, perfect for smaller rooms and featuring a single-piece basin with worktop and WC unit for concealed cisterns. Single tap hole for mixer taps. 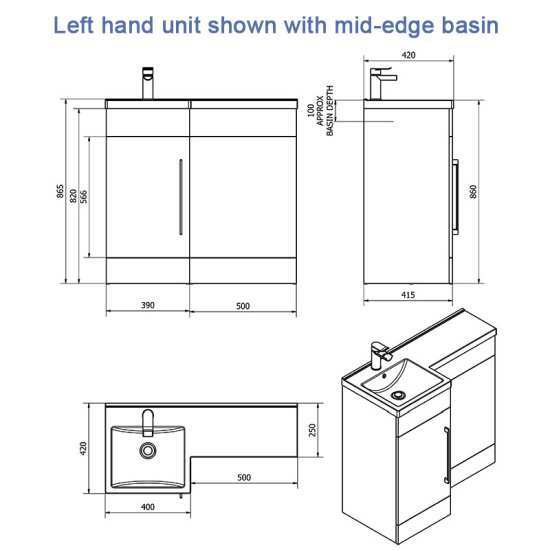 Integrated overflow - use with slotted basin wastes. 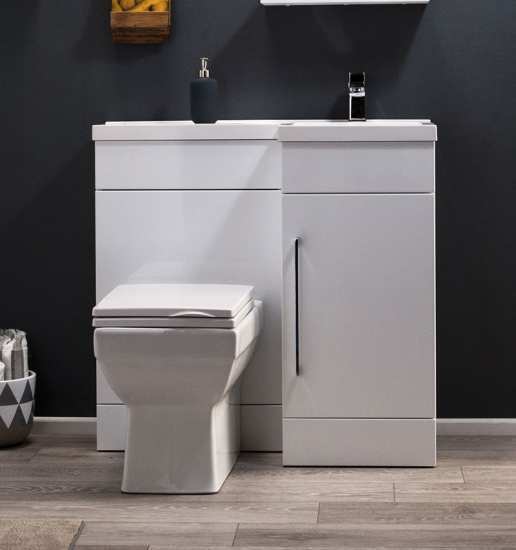 Item consists of basin/worktop, vanity unit & back-to-wall WC unit - add your choice of WC pan/seat, concealed cistern kit, basin mixer tap and slotted basin waste.